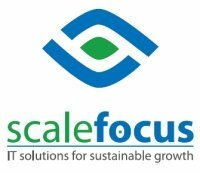 ScaleFocus is an EU-based professional services company which provides innovative technology services and software solutions across EMEA and North America. ScaleFocus is a highly skilled and cost-optimized technology service provider. We are investing continuously in developing niche technology competencies and forging strong customer relationships. We have the methodology and flexibility to partner with both MNCs and SMEs. Experienced in overcoming challenges, our engineering and management force embraces a customer-centric approach. We are always close to the client, adapting to each particular case, focusing on business’ specifics and providing quality solutions that enable high performance results. The ScaleFocus team believes in collaboration. Communication, comprehensive services and sound processes are the core of our successful deliveries and long-term partnerships in different geographical and cultural contexts. Do you want your personal and professional capabilities to be recognized? Join our team to overcome challenges together. ScaleFocus is compound of top notch professionals – an excellent opportunity for you to learn, improve and contribute. We invest in your future.